New post, new spice! And also one of my favorites- rosemary. I love everything about it, from smell to taste and I put it everywhere (which is not so good for others but c’est la vie, I cook, I make the rules). 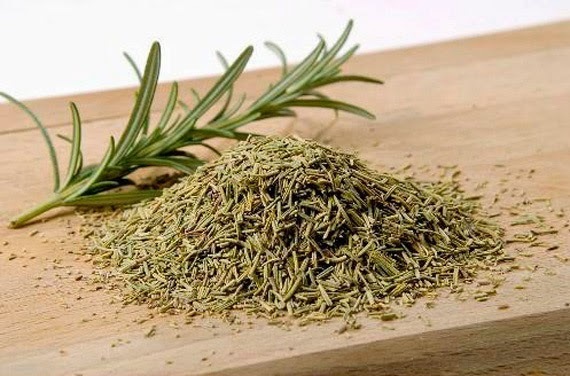 Looking like a small sprig from an evergreen tree the wonderful smell and assertively pine-like fragrance and pungent flavor of rosemary goes a long way to flavor to chicken, lamb, pork, salmon and tuna dishes as well as many soups and sauces. Most recipes call for rosemary leaves, which can be easily removed from the stem. Alternatively, you can add the whole sprig to season soups, stews and meat dishes, then simply remove it before serving. Add fresh rosemary to omelets and frittatas. 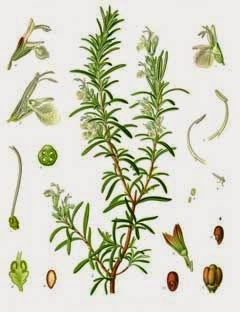 Rosemary is a wonderful herb for seasoning chicken and lamb dishes. Add rosemary to tomato sauces and soups. Even better than butter—purée fresh rosemary leaves with olive oil and use as a dipping sauce for bread. According to European law, rosemary’s leaves and essential oil are officialy health benefitial. 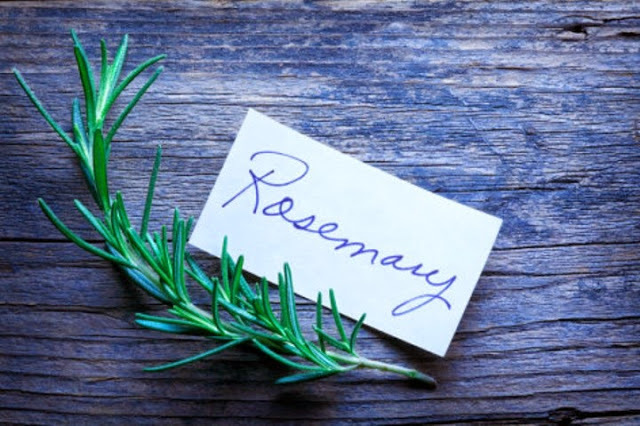 Rosemary has been reported to decrease capillary permeability and fragility. Extracts have been used in insect repellents. The plant may have anticancer properties and has spasmolytic actions, liver and immune effects, and other various actions from asthma treatment to aromatherapy. It has antimicrobial actions against a variety of bacteria, fungi, mold, and viruses. There are couple of types of rosemary’s essential oil, all used in different purposes. Rosmarinus officinalis CT camphor – This plant is extremely high in camphor. Is considered a powerful energy stimulant. Grown in Spain and Croatia. Rosmarinus officinalis CT 1, 8 cineol – This plant is stimulating and is the subject of this website. Grown in Morocco and Tunisia. Rosmarinus officinalis CT verbenon – This is considered the most gentle of the chemotypes. It is used for skin care because of its dominant regenerative properties. Grown in Corsica. The wonderful smell of rosemary is often associated with good food and great times. But it could just as easily be associated with good health. Rosemary contains substances that are useful for stimulating the immune system, increasing circulation, and improving digestion. Rosemary also contains anti-inflammatory compounds that may make it useful for reducing the severity of asthma attacks. In addition, rosemary has been shown to increase the blood flow to the head and brain, improving concentration. It is often used with cough problems for inhalation- put 1 drop of rosemary essential oil in 0,5 l of hot water and inhale for 1 minute, then add one more drop and inhale, repeat 5x tops. YOu can inhale 2-3 times per day but not if you have asthma. Because it works against bacteria and fungus you can use rosemary as a cleaning detergent. Add 20 ml of apple cider and 10 ml of alcohol in 60 ml of water. Then add essential oils: 10 drops of lemon, 10 drops of rosemary, 5 drops of lavender. Mix it and spray. It’s a great way to clean your house and keep the environment safe. 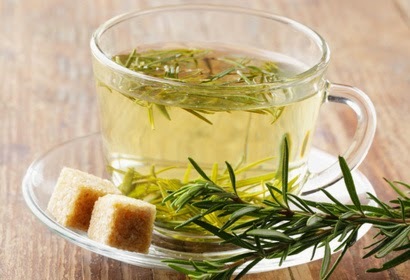 Rosemary tea is beneficial for muscle relaxation, indigestion and menstrual cramps. Pour one tea spoon of dry rosemary leaves with 2 dcl of hot water, let it rest for 10 minutes and then drain. Drink it 2-3 times a day, half an hour before meal. Boiled leaves of nettle and rosemary are a great combination for cleaning your hair and to help normalize sebum and oily hair. That’s all for today, as you can see many benefits come from this little plant if you know how to use it. Moram da priznam da ga nikad nisam stavljala ni u jedno jelo koje ne ukljucuje meso. Poslusacu Vas savet, pa cu ga probati u varijanti sa krompirom ☺ Na taj nacin cu moje uobicajeno jelo sa krompirom obuci u novo ruho 😊 Jedva cekam da probam taj spoj ukusa!